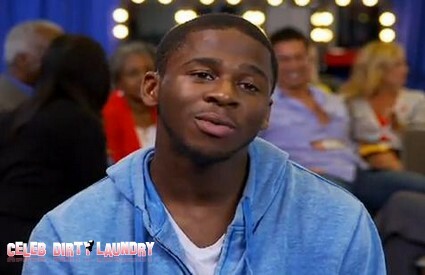 The second performance tonight on the X Factor USA is Marcus Canty. We are down to the Top 5 tonight! The contestants continue to battle it out for America’s votes, THE X FACTOR title, a $5 million recording contract with Syco/Sony Music and an iconic Pepsi commercial. If you missed tonight’s episode you can read our official recap here! Tonight the final five will have to sing not one but two songs. Fans will have a chance to vote via Twitter, Facebook, Verizon Touch, toll-free calling, text message for Verizon customers and online at TheXFactorUSA.com. Judges comments – 1. Nicole said: You took us to church and the dance club at the same time, great song, you have earned your spot to be here, God has a plan for you. Paula said: You like fantastic and it’s an even playing field. Simon said: I shouldn’t be happy with you, but I have to be fair and judge you within the competition and I have to say, that was a very good performance. You came back strong and proved a point. L.A. said: If you love Marcus the way I do tonight, then vote, vote, vote. The X Factor USA Brian ‘Astro’ Bradley Got A Record Deal!